Did you know Mothering Sunday, sometimes known as Mother’s Day, is held on the fourth Sunday of Lent. It is exactly three weeks before Easter Sunday, and this year Mothering Sunday falls on 11th March. What have you bought your mum? Flowers, chocolates or something a bit more personalised. Whether you are relaxing or you have made plans, Masterflex would like to wish every Mum, Step-Mum, Grandma and Nana a great day. 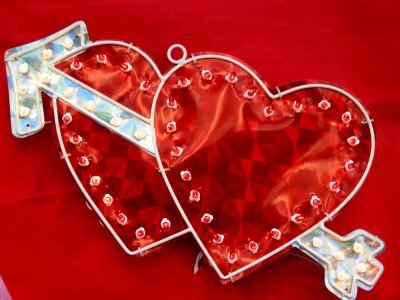 It’s that time of the year again, when shops are filled with red roses, chocolates and gifts for your loved ones. Have you already bought that special present, or are you planning a surprise? as every product we manufacture is made to suit each persons specific requirements. Get your pans ready for Tuesday 13th February. Pancake Day has been celebrated by Britons for centuries. Known also as Shrove Tuesday, its exact date, rather confusingly, changes every year, because it is determined by when Easter falls. But it is always the day preceding Ash Wednesday (the first day of Lent), and always falls in February or March. Pancakes are associated with the day preceding Lent because they were a way to use up rich foods such as eggs, milk, and sugar, before the fasting season of the 40 days of Lent. The most famous pancake race, at Olney in Buckinghamshire, has been held since 1445. The contestants, traditionally women, carry a frying pan and race over a 415-yard course to the finishing line. The rules are strict: contestants have to toss their pancake at both the start and the finish, as well as wear an apron and a scarf. Traditionally, when men want to participate, they must dress up as a housewife (usually an apron and a bandanna). The race is followed by a church service. How to make the perfect pancakes. Do you have a favourite topping or maybe take turns on flipping the mixture? Here at Masterflex, jam, sugar, lemon juice or maple syrup are some of the more popular choices to have with pancakes. Have you made sure everything is ready for Christmas? Here at Masterflex, we have been checking stock levels, making sure that everything is accounted for ready for 2018. From the largest hoses to the smallest cuffs, nothing has been left unturned. Each section of Flamex, Master PUR and Carflex has all been counted and added to the database. If you would like a quote on any item we produce whether it’s for Woodworking, Construction, Air Conditioning and Ventilation, Automotive or Asbestos removal. Time to gain an hour!!! What is the one thing people want more of????? Well if it is Time that you are wanting then you are in luck!, as we will all be gaining an extra hour on Sunday. Yip Pee!!!! The clocks should be put back 60 minutes at 1am on Sunday October 29. When the clocks go back, the UK will be back onto Greenwich Mean Time (GMT). Mobile phones and other devices connected to the Internet should change automatically. Other devices, like cookers and ovens will need to be changed manually. Clocks then move forward again on March. The reason for changing the clocks twice a year is known as Daylight Saving Time and was brought in from 1907 to get people out of bed earlier during summer when it gets light from 4 to 5am even when the clocks have gone back. But there have been calls to scrap it entirely because of the adverse impact of nights drawing in earlier during winter. So don’t forget Sunday 29th Oct to turn your clocks back 1 hour! Give the office a call to get a quote, sample or to make a purchase. What is the definition of Pharmaceutical? The definition of pharmaceutical is something related to prescription drugs or pharmacies. What are pharmaceutical drugs used for? A pharmaceutical drug is a drug used to diagnose, cure, treat, or prevent disease. Drugs are classified in various ways. One of the key divisions is by level of control, which distinguishes prescription drugs from over-the-counter drugs. Another key distinction is between traditional small molecule drugs, usually derived from chemical synthesis, and bio pharmaceuticals, which include recombinant proteins, vaccines, blood products used therapeutically, gene therapy, and cell therapy. Other ways to classify medicines are by mode of action, route of administration, biological system affected, or therapeutic effects. An elaborate and widely used classification system is the Anatomical Therapeutic Chemical Classification System. What hoses do we provide to handle pharmaceuticals? 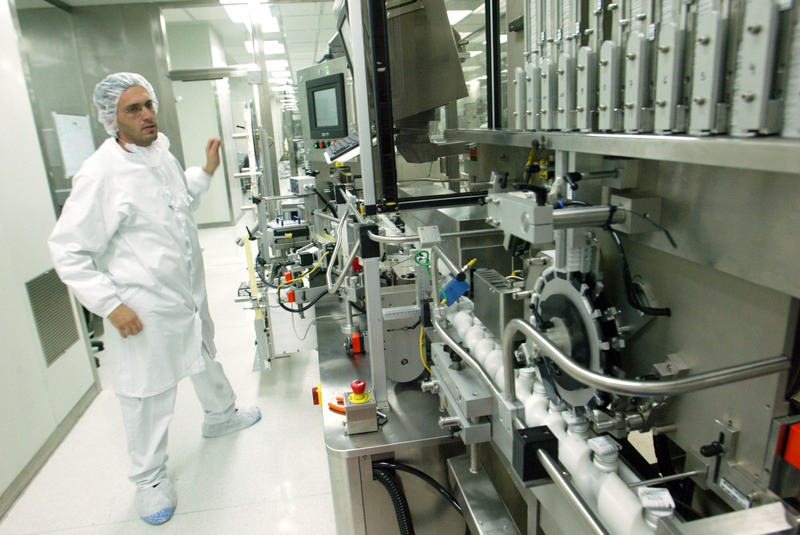 Here at Masterflex, we can provide the Master PUR L Food to handle any pharmaceutical products. The Master PUR L Food is a clear Polyether polyurethane hose, Reinforced with embedded stainless steel wire helix and a PU thickness of 0.7mm. • Transportation of solid, liquid and gaseous media in the food, pharmaceutical and chemical industry. Size Range: 32mm to 200mm. Temp Range: -40ºC to +90ºC (intermittent to +125ºC). We also provide the Master PUR H Food, which is a clear Polyether polyurethane hose, Reinforced with embedded stainless steel wire helix and a PU thickness of 1.4mm. Size Range: 20mm to 200mm. Other lengths are available on request for both hoses. Also both hoses can be made with an antistatic variant known as the Master PUR L Food A and the Master PUR H Food A. What hoses do we provide to remove pharmaceutical waste? At Masterflex, we can provide the Polderflex hose to remove any pharmaceutical waste. The Polderflex is a clear PVC hose, Reinforced with embedded high tensile steel wire helix. Size: Range 13mm to 102mm. Temp Range: -15ºC to +70ºC (intermittent to +80ºC). Should you wish to know more about our products, please contact our office. If you don’t work in this industry but know someone who does then please share our post. On the 27th September 1908 the first production of the Model T (also know as the Tin Lizzie), left the factory. This automobile, invented by Henry Ford, was to change our lives forever!!! Did you know that Masterflex manufactures hoses to suit many automotive applications ranging from street cleaning, agricultural machinery to formula 1? We also manufacture hoses to suit a wide range of applications for use in the Chemical and Industrial Markets. The products used in the Hose Industry, vary from polyurethane ducting (eg Streetmaster LF) to high temperature ducting (eg HT1100). You can also check out our website at Masterflex.com.